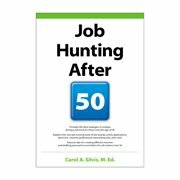 Despite the desirability of experience as a “wish list item” on any hiring manager’s checklist, job seekers, especially those over forty, often fear losing out to their younger competitors. Notwithstanding protection from anti-discrimination laws, a few creative strategies can transform your resume into a powerful document that not only showcases your hard-earned experience, but also downplays the age factor (“A-Factor”). As a career coach and professional resume writer, I work with thousands of accomplished professionals and executives, some with over three decades of experience. Though not appropriate in all cases, here are some strategies I have used to de-age resumes without compromising experience:Take years off your resumeExperience is certainly a prized positioning strategy, especially for senior-level candidates, but that doesn’t mean one should go all the way back to the 60’s. In my opinion, fifteen years of recent employment chronology is sufficient to market a professional’s background.In unique situations where a job seeker’s background – and the position’s requirements – merits detailing older positions, consider creating an “additional experience” section without dates. Eliminating dates can be very useful for the education summary as well, especially if your bachelor’s degree was obtained in or prior to the 80’s.Highlight your work with younger markets, technologies, or productsIf you recently worked on a marketing campaign targeting Generation Z or contributed toward the development of a cutting-edge product, mention it at the beginning of your resume. A summary section may be the most appropriate place to highlight this experience. For technology workers, start your professional proficiencies section with technologies, systems, processes, and strategies that are truly cutting-edge.Expertise in state-of-the-art technologies can give you a solid competitive boost, especially if your profession is constantly evolving.Emphasize your ability to connect with younger peersAlmost no executive can claim to have risen to the ranks without training Ms. Robinson, the intern, or Smith, the entry level professional and yet this information is almost never found on the resume. The ability to connect with younger professionals is an excellent indicator of a senior-level professional’s flexibility.Stay abreastAdd a “Professional Development” section to your resume to identify your continuing education efforts. The section can send a strong message to recruiters that you are actively upgrading your skills.Leverage social mediaAdd Web 2.0 tools, such as LinkedIn, Facebook, Twitter, and other social networking strategies to your job search arsenal. The advent of Web 2.0 and social media has impacted the job search landscape significantly. Recruiters and hiring managers often use these tools to find and evaluate candidates and a meaningful presence on the social media circuit can be an important contributor toward your job search success. Nimish Thakkar is a sought-after certified career management coach and professional resume writer. Through his resume writing service, ResumeCorner.com, and free career information site, SaiCareers.com, he has helped thousands of clients. SaiCareers.com features hundreds of free articles and thousands of resources.